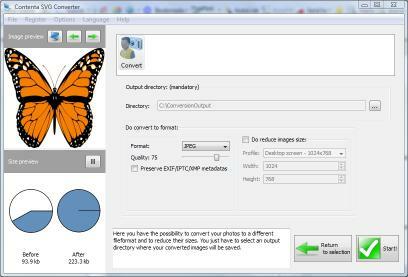 Batch conversion: Select which files you want to convert and click Start!. Saves into the following image formats: jpg jpeg2000 gif png tiff bmp wbmp targa ppm pgm pbm xpm ico. 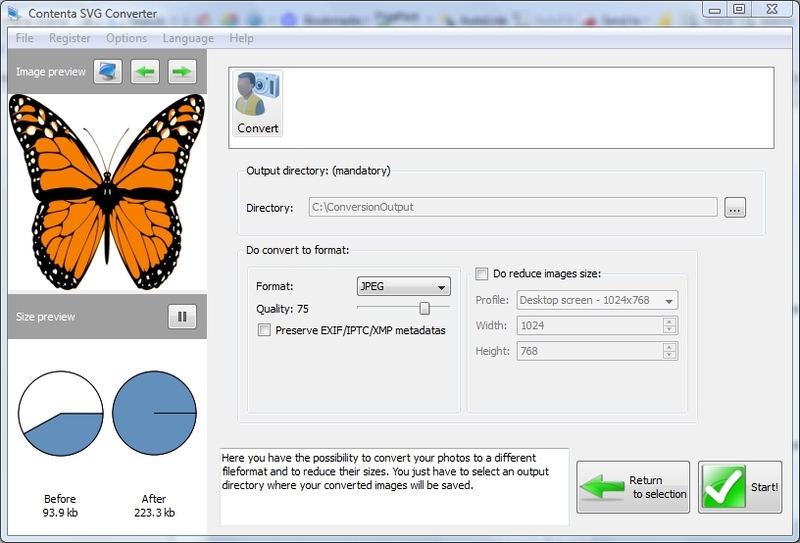 Loadsave configurations: Save your conversion settings and reuse them.... Reduce image size: Batch reduce your images by setting a maximum size.Optimized for multi-core processors Speed up your conversions by using 100% of your CPU.Get one year of update protection and technical support with the purchase of a license.